One of the aspects of your big day that you certainly do not wish to mess up is music. A great DJ or band can make all the difference between a fun event and a memorable one. To help you avoid some common wedding music mistakes,we’ve gathered some useful tips and tricks that will help you to successfully entertain your guests. Don’t dismiss the idea of a wedding band or DJ if you don’t do some research. 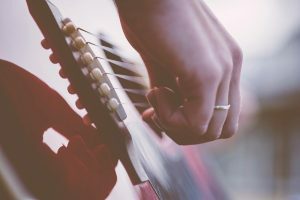 If you have a bigger budget, adore live music and plan a beautiful wedding ceremony in Singapore, for instance, you should pick the best live wedding band Singapore can offer. But, if your budget is tighter, you might consider getting a DJ for your event. Nevertheless, keep in mind that a DJ doesn’t have to be cheesy and there are affordable wedding bands too. So, be open to both options before making the final decision. It’s a bad idea to start your ceremony in complete silence. Since many guests arrive a half an hour before the beginning of the ceremony, make sure they don’t wait around in silence. The reason is simple, they’ll get bored. So, our recommendation is to book musicians to start at least 20 minutes before your ceremony begins. Don’t forget to talk to the officiants whether certain songs or music is prohibited in a house of worship you’re getting married in. Even though it’s your own big day, all regulations have to be respected. Don’t wait your big day to meat (and hear) your musician(s) in person. Taking in a live performance is highly recommended before you make final decision on your wedding music. Luckily, this task is really fun! Assuming your wedding band or a DJ will be playing all your favorite songs on your wedding day is a terrible mistake. So, don’t forget to talk to them about the list of songs you’d like them to play before you book your entertainers. Also, if there’s a song you would like to avoid at your event, make sure you inform your musicians about it.